Cameo Decorative Initial Monogram Set, Small - 2" 3" 4"
Such a beautiful decorative set to monogram initials, names and more. You will love how versatile this set is...weddings, anniversaries, birthdays - you name it! Click through the listing pictures for a few different ways to use this set! Includes 2", 3" and 4" tall sizes. Sizes below are based off the capital (center) A. Includes Aa-Zz and 0-9 in three sizes. Please check actual sizes below to be sure this design set will fit into your specific hoop before ordering. 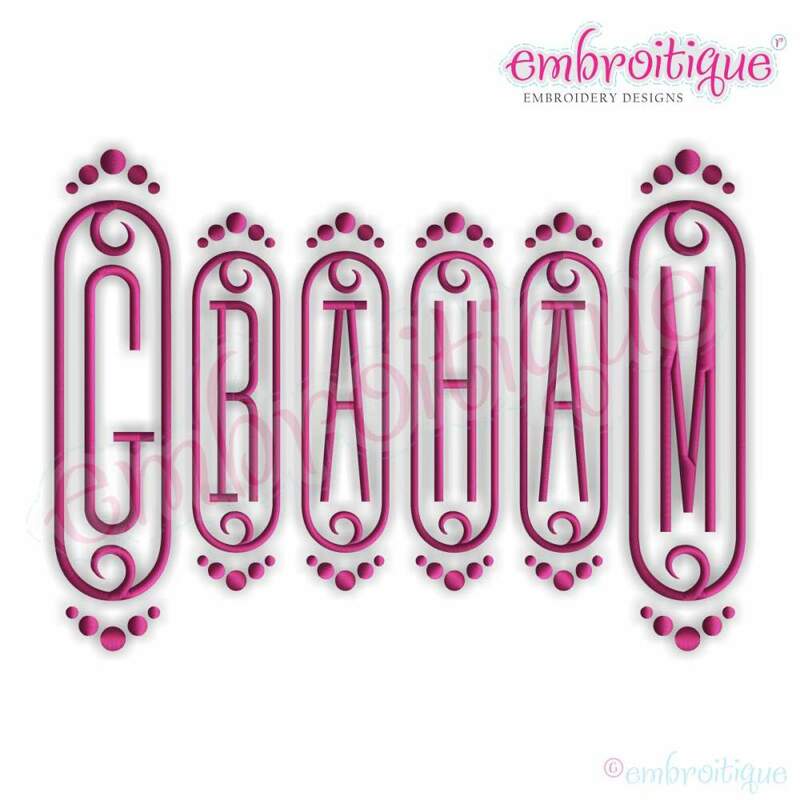 Such a beautiful decorative set to monogram initials, names and more. You will love how versatile this set is...weddings, anniversaries, birthdays - you name it! Click through the listing pictures for a few different ways to use this set! Includes 2", 3" and 4" tall sizes. Sizes below are based off the capital (center) A. Includes Aa-Zz and 0-9 in three sizes. Please check actual sizes below to be sure this design set will fit into your specific hoop before ordering. Bows Monogram Font - 4 Sizes! Averie Monogram - 5 Sizes! Alexa Hand Drawn Calligraphy Script Monogram - 5 Sizes! Finish Size 0.46" x 1.94"
Finish Size 0.7" x 2.95"
Finish Size 0.94" x 3.95"